WWFHA proudly announces the selection of Jeff Hoff, John Dunn and Jani Lyrintzis as the 14U Rep Tier 2/AA coaching staff for the 2018 – 2019 season. The 14UAA Rep team includes players of the highest skill (AAA and AA levels) from the Seattle and surrounding area, with the primary goal of skill development and advancement to the next level, including advancement through the WWFHA system and eventually collegiate play. A Puget Sound native, Coach Hoff grew up in Bellingham and now resides in Snohomish. Jeff played Junior B and Junior A Tier II hockey in British Columbia before moving to Alaska, where he played four years of Division 2 hockey for the University of Alaska, Anchorage. 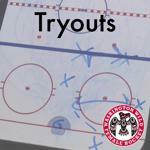 With over 20 years of coaching experience, Jeff has coached at the AA or AAA level from mite through midget. Jeff has served as an evaluator at State & District camps and has helped many players move on to play Juniors, Club, D3 and D1 hockey. Jeff holds both USA Hockey Level 4 coaching certification and Hockey Canada Development 1 Certification, and gained several years of experience coaching teams that played in the PCAHA in the lower mainland. Coach Hoff calls himself a player’s coach, who coaches an attacking style where all players bear equal responsibility in all zones of the ice. While he focuses on individual skills, team play and hockey IQ development, Jeff works hard to help players remember that they are playing a game and they need to enjoy the ride. Coach Hoff says, "This is an exciting time for the development and growth of women's hockey. 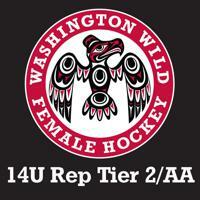 I am really excited to have the opportunity to coach the 14U AA team and work with the Washington Wild program this coming season". Coach Dunn, a USA Hockey Level 3 coach, returns to the 14UAA team as a second year assistant coach for Washington Wild with a PCAHA President Series Championship title under his belt. Previously he coached with Kent Valley Hockey Association in head coach and assistant coach roles from learn-to-play to the midget level. In 2015, his squirt team won the Portland Harvest Cup Championship and the Bremerton Battle of the Sound tournament. In 2014 his team won the league championship for the Western Washington High School Hockey league. Dunn played for Washington State University where is son currently is the team captain, wearing his father’s jersey number, and serving as the president of the non-varsity team. Coach Lyrintzis transitions this season from the Washington Wild 12UAA team to the 14UAA team. With more than five years coaching experience, he previously was an assistant coach for EYHA 12U and 10U age brackets, as well as the Jr. Silvertips 12U A1 and 10U A1 teams. 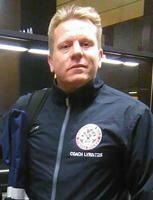 Coach Lyrintzis excels in teaching positioning and systems to players, and he also holds a USA Hockey Level 4 coaching certification. Visit the registration to sign-up today!